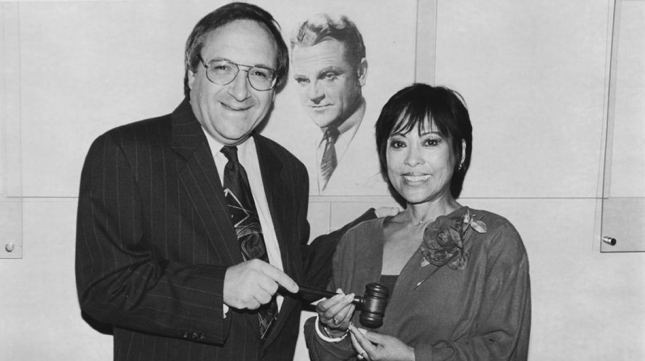 Sumi Sevilla Haru, the first and only woman of color to serve as interim president of the Screen Actors Guild and a member of SAG’s national board for 33 years, died on Oct. 16 at the age of 75. A lung cancer survivor, Haru had been diagnosed with COPD (chronic obstructive pulmonary disease) in 1995. Her final entry on her blog, dated Dec. 13, 2013, was about her pulmonary rehab regimen. “It is with great sadness that our SAG-AFTRA family says goodbye to Sumi Haru,” said SAG-AFTRA President Ken Howard. “Sumi notably represented SAG-AFTRA and its predecessor unions for decades on our local and national boards, and as Screen Actors Guild recording secretary and interim president. Haru joined SAG in 1968 and AFTRA (American Federation of Television and Radio Artists) in 1972, and served as a national board member for both organizations for multiple terms since 1974. She served as interim president of SAG in 1995. Haru was also a delegate at both AFTRA and SAG-AFTRA conventions. In 2013, she was elected for a two-year term as a member of the first elected national board of the merged SAG-AFTRA. In 1995, she became the first Asian Pacific American to serve as a national vice president of the AFL-CIO, a position she filled for six years. Haru was a co-founder and national chair of SAG’s Ethnic Employment Opportunities Committee and Western national chair of AFTRA’s Equal Employment Opportunities Committee. Haru originated the EEOC Career Day and helped develop SAG’s affirmative action conferences. She was a negotiator of “American Scene” language and affirmative action clauses for SAG’s national TV/theatrical and commercials contracts and for AFTRA’s national network television and commercials agreements. She chaired SAG’s Legislative Committee and served as a legislative advocate for FCC (Federal Communications Commission) and civil rights issues on the national, state and local levels. She was a trustee and former president of the SAG-Producers Industry Advancement and Cooperative Fund, and a former board member of the Screen Actors Guild Foundation. In 2009, Haru was honored with SAG’s Ralph Morgan Award, which was bestowed upon recipients for distinguished service to SAG’s Hollywood Division. She was a co-founder and executive board member of the Asian Pacific American Labor Alliance and served as president of the Los Angeles chapter. Born Mildred Acantilado Sevilla on Aug. 25, 1939 in Orange, N.J. (but conceived in Manila), she spent most of her childhood in Arvada, Colo. She majored in music at the University of Colorado. She changed her name on the advice of an acting coach, and chose Sumi Haru because many of the roles being offered to Asian American actors were for Japanese characters. The first Filipino American seen regularly on Los Angeles television, Haru was a producer/moderator for 17 years at KTLA on public affairs programs “The Gallery,” “70s Woman,” “80s Woman,” and “Weekend Gallery.” She produced and hosted specials on the Philippines, Taiwan, East Germany, the U.S.S.R. and Nicaragua, and was the administrative producer of the annual Toys for Tots Telethon. Haru hosted “Up for Air,” a weekday morning magazine program for KPFK-FM Pacifica Radio, where she also produced and hosted programs on multicultural issues, including the “Rising Sun” controversy, the Clarence Thomas Supreme Court confirmation hearings, and the commemoration of the atomic bombings of Hiroshima and Nagasaki. She wrote, produced and played the lead in a cable dramedy, “Watch This Space,” for United Artists Cable Entertainment, and produced several Women Pioneer videos for the Los Angeles Telecommunications Department and TV programs for Pacific Asian Alcohol Program and Asian Pacific American Legal Center. She was co-producer and co-host of “L.A. Arts Mix,” a Cable ACE award-winning TV magazine program on the arts and culture of Los Angeles, and anchor of “L.A. News Brief” on City Channel 35. Haru was the president and co-founder of the Association of Asian Pacific American Artists (AAPAA), which sought employment opportunities and balanced images of Asian Pacific Islanders on film and television screens. She was a founding member of the Cultural Environment Movement spearheaded by Dr. George Gerbner, and co-president of the L.A. County Media Image Coalition, which sought balanced media images for underrepresented groups in the TV/film industry. The Board of Supervisors authorized the coalition to convene a forum with news media executives and law enforcement and emergency agencies to assess news coverage during the 1992 civil unrest. Haru was a columnist for Asian Week for eight years, and her articles also appeared in The Chicago Shimpo, AsiAm, The Korea Times, Neworld, Screen Actor and Dialog. As first vice chair of the National Conference of Christian and Jews Asian Pacific American Focus Program and member of the Media Image Task Force, she initiated the publication of “Asian Pacific Americans: A Handbook on How to Cover and Portray Our Nation’s Fastest-Growing Minority Group,” published in cooperation with AAPAA and the Asian American Journalists Association. 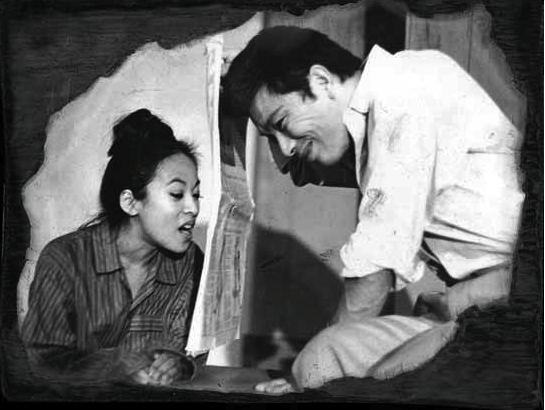 Sumi Haru and Mako in East West Players’ 1970 production of “Tondemonai — Never Happen” by Soon-Teck Oh. She co-chaired Mayor Tom Bradley’s Asian Pacific American Heritage Committee and chaired the L.A. City Fire Department’s Blue Ribbon Committee on Affirmative Action. She was an advisory board member of Search to Involve Pilipino Americans, Asian Pacific American Legal Center, Leadership Education for Asian Pacifics, Women’s Institute and Health Center, The Ensemble Theatre, and Communications Bridge. She was a member of the California Drug and Alcohol Department’s Asian and Pacific Islander Advisory Committee and the Women’s Leadership Coalition. She served as a grants consultant to the U.S. Department of Health and Human Services’ Office of Substance Abuse Prevention, the Pacific Asian Alcohol Program and Special Service for Groups. In 2000, Haru was honored by the National Women’s Political Caucus and the National Organization for Women. She was one of 12 nationally selected API “Women of Hope” featured in an educational study guide by the Bread and Roses Cultural Project. She received the Most Distinguished Arts and Media Award from the UCLA Asian American Studies Center and the Visionary Award from East West Players. She was L.A. County’s 1994 Volunteer of the Year in Human Services and was among the first recipients of the Woman Warrior Award from the Asian Pacific Women’s Network. She was a keynote speaker and lecturer for universities and national organizations, and moderated panels on a variety of subjects, including a Washington, D.C. panel on TV employment and programming opportunities for people of color that aired on C-SPAN and a national video conference on women’s issues sponsored by the AFL-CIO. 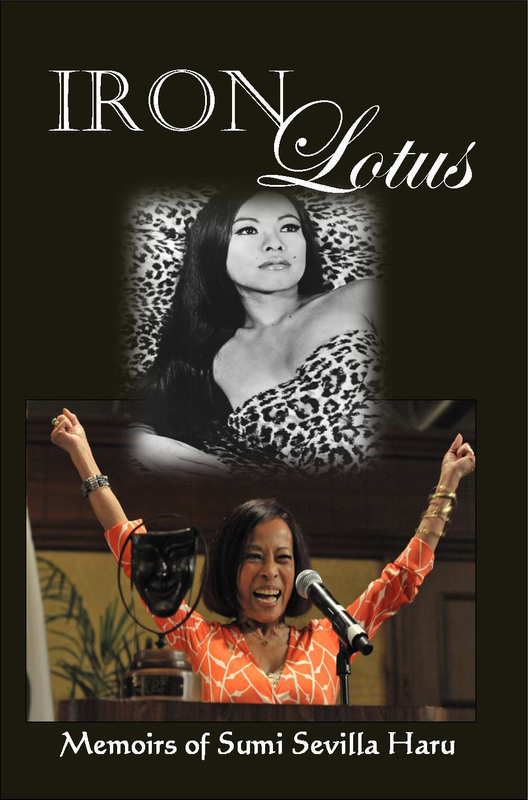 “Iron Lotus” was her one-woman show designed for audiences from university Asian American studies and women’s studies departments. It was developed in the East West Players writers’ workshop and originally performed at the SIPA Performance Space. A co-founder of the annual Lotus Festival in Echo Park, Haru started a company, Iron Lotus Productions, that specialized in festival production. Her projects with the Los Angeles Department of Cultural Affairs included the Central Avenue Jazz Festival, Mariachi Festival, L.A. Fiesta Broadway, Bolero Festival, five Millennium Festivals, a drama/improvisation program with at-risk Central City youth, L.A. Arts Care-A-Van touring program, Se Habla Everything variety shows, and big band concerts. Haru’s three marriages ended in divorce. She is survived by two daughters, Connie Vieaux Bowles of San Jose and Vanda Vieaux of North Hollywood, and a sister, Rosie Alexander of Florida. A celebration of life will be held Friday, Oct. 24, from 4 to 6 p.m. at SAG-AFTRA James Cagney Board Room, 5757 Wilshire Blvd., Los Angeles. RSVP to [email protected] or (323) 634-8274. Memorial donations may be made to: GLAZA (Greater L.A. Zoo Association) Development Division, 5333 Zoo Drive, Los Angeles, CA 90027-1498.